Under Section 3105.71 of the Ohio Revised Code, if a child is covered by a health insurance plan when her parents file for divorce, the parent who holds that plan is prohibited from canceling the policy while the divorce is pending. This rule also applies to the "planning" stage immediately preceding the divorce filing when spouses often get their affairs in order as preparation. If a parent defies Ohio law by terminating his child's insurance coverage upon filing for divorce or immediately prior, the court will impose stiff penalties. 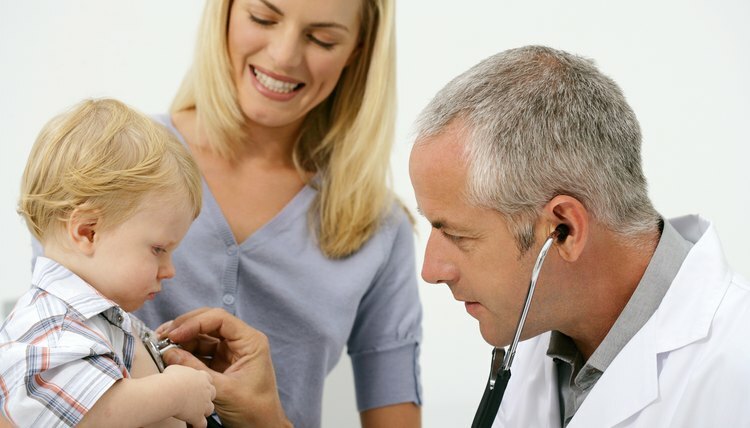 Upon securing new coverage for the child or reinstatement of the previous policy, if possible, the court will instruct the terminating spouse to pay for the premiums, including any missed premiums, and any hospital, surgical or medical expenses incurred as a result of the premature cancellation. If the spouse fails to comply, the court will instruct the spouse's employer to deduct these amounts from his wages. Prior to finalizing a divorce, the court will address the issue of child support. Ohio law requires that all child support orders incorporate a child's health insurance costs. In Ohio, courts will order parents to provide health insurance for their child if either parent can obtain such coverage at a reasonable cost, defined as 5 percent or less of the insured parent's gross income. If affordable health insurance is not available or coverage is lost, the court will instead attach to its child support order a "cash medical support order," which allots money for uncovered health care costs. Typically, each parent will contribute to medical support in proportion to his or her percentage of the parents' combined income. In Ohio, the residential parent (the parent with whom the child lives) receives child support and is generally responsible for paying the child's "ordinary" uncovered medical expenses. Ohio law defines these as the first $100 in out-of-pocket expenses per child per year. Costs above this figure are considered "extraordinary" and Ohio courts typically order these to be paid by both parents according to their percentage of the combined parental income, either before or after the payment of child support depending on the requirements of the child support order.